Capital account liberalization is not the key to internationalizing China’s currency. The world-leading stock market index firm Morgan Stanley Capital International (MSCI) lately rejected (for the third time) the inclusion of China mainland-listed and yuan-denominated “A shares” in its Emerging Markets Index. This certainly did not bode well for the internationalization of the renminbi (RMB), especially for its role as an investment currency. The most pressing issue raised by MSCI was China’s capital controls, namely the still-restricted market accessibility and restrictions on capital outflows through repatriation limits. The latter could deter some potential investors. The MSCI decision pointed towards several controversial issues surrounding capital account liberalization, such as how much China has inched forward in this regard, the associated costs and benefits of liberalization, as well as its necessity for realizing the internationalization of the redback. China first established capital account convertibility—rendering RMB convertible for investment purposes—as a long-run goal in 1993 and has reiterated this in the subsequent plenums of the Communist Party of China (CPC) Central Committee. This objective gained another facet in the wake of the 2008 global financial crisis, when China began to internationalize its currency to counter the flaws of a dollar-dominated monetary order. 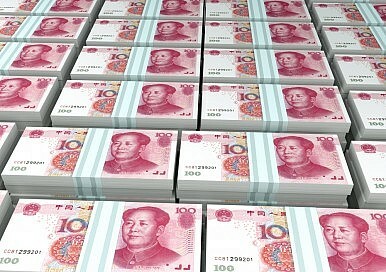 Two channels are currently in place for foreign investors to access China’s onshore market by means of offshore yuan. One is the Renminbi Qualified Institutional investor Program (RQFII), through which overseas investors can invest in mainland securities market through RMB-denominated funds listed in Hong Kong, London, Frankfurt, and other offshore markets. China maintains a tight grasp on this pipeline through quota rationing. The other channel is Hong Kong-Shanghai Stock Connect, which enables foreign institutional and retail investors in Hong Kong to trade selected A share stocks listed on the Shanghai Stock Exchange. Likewise, it is governed by both daily and aggregate quotas. In the words of political economist Christopher McNally, the steps China has taken largely follow Sino-capitalism reform logic—employ the market, but not in an essentialist or fundamentalist way. In China, 35 out of the 40 capital accounts cataloged by the IMF are already convertible; however, 22 of them are only partially convertible. As indicated by China’s central bank, the People’s Bank of China, its vision of “convertibility” does not imply the kind of unconstrained capital flows that wreaked havoc on emerging markets during the 1998 Asian financial crisis and again in the global financial crisis of 2008. Nobel laureate economist Paul Krugman attributed the root cause of the Asian financial crisis to financial panic and over-liberalized domestic and international financial systems. Asian banking systems were opened up too rapidly and attracted high volumes of short-term and potentially reversible loans. When there was a sudden fundamental shift in perceptions about the prospects for continued economic growth in Asia, dramatic turnarounds of capital flows followed, precipitating the financial meltdown. China and Taiwan, which retained capital controls, suffered less and Malaysia, which resumed capital controls responsively, recovered more swiftly from the crisis. In the light of these, it would be rational for governments in developing countries to be more vigilant and pursue an eclectic approach toward liberalization, especially on “hot money” fronts—portfolio investments. Further, it is so far unclear whether capital account opening is positively related with economic growth and efficiency. Simulations based on a neoclassical model conducted by the IMF show feeble gains in switching from financial autarky to full capital mobility in non-OECD countries—unless it contrives to narrow the gap in total factor productivity (including technology) levels between developing and advanced economies. This warrants opening in an incremental and sequenced manner. In fact, the RMB has already become largely convertible for “cold money”—foreign direct investment (FDI) and outbound direct investment (ODI). FDI inflows could promote productivity through knowledge spillover effects and increased competition. Meanwhile, ODI facilitates Chinese enterprises to project a higher position in global value chains. Nevertheless, as pointed out by some economists, free capital movement via debt and equity markets improves risk sharing with foreigners to smooth income fluctuations. It could also lower borrowing costs for government and corporate sectors. Further, it helps to nurture a more resilient, competitive, and efficient financial system. This spells support for China’s current undertaking of a middle ground in the macroeconomic policy trilemma—maintain monetary policy autonomy while opting for moderate capital controls and a half-pegged exchange rate—to nail a better a risk-return trade-off. Another lingering issue is whether full capital account convertibility is a prerequisite for achieving international currency status. Last year, the IMF announced the inclusion of RMB into its Special Drawing Rights (SDR) reserve currency basket in recognition of RMB’s satisfaction of its criteria, which include being “freely usable” — (i) widely used to make payments for international transactions, and (ii) widely traded in the principal exchange markets. The “freely usable” concept is different from either “freely floating” or “fully convertible.” It is possible for a currency to be widely used and widely traded with the existence of some capital account restrictions (historical precedents include the pound sterling and Japanese yen). On the other hand, a currency that is fully convertible is not necessarily widely used and widely traded. This suggests that full capital account liberalization is neither a necessary nor sufficient condition for an international currency. A study by the Bank for International Settlements cements this fact and further demonstrates that promoting the development of offshore markets can help circumvent full capital account openness in achieving currency internationalization. It shows that capital controls by the United States in the 1960s and early 1970s did not undermine the dollar’s international role, but somewhat gave a boost to the eurodollar market in London. In fact, eurodollar markets accommodate a large proportion of dollar-denominated trade settlement and investment made by non-U.S. residents. In the case of the RMB, offshore RMB markets are to a great extent a linchpin if the currency is to develop from a limited range of transactions to an established asset that will store wealth as part of a portfolio for non-resident companies and individuals. So far, China has been able to shore up RMB offshore transactions via the liquidity emanating from clearing and settlement banks (e.g. the China Construction Bank in London, Bank of China in Frankfurt, and Bank of Communications in Seoul) as well as currency swap agreements with central banks like the Bank of Korea. Banks and non-financial firms like China Development Bank and McDonalds have been engaged in offshore RMB (Dim Sum) bond issuance, taking advantage of interest rates that are typically lower than those available in onshore market. Nevertheless, the offshore bond markets, though burgeoning, are still immature. Among the constraints are lack of liquidity and transparency (as many bonds issued are unrated) and potential default risks. Most Chinese offshore bonds are issued through tax-haven-domiciled Special Purpose Vehicles, leaving investors with little recourse to onshore assets. Chinese companies have adopted keepwell structures (a contract between the parent company and subsidiaries to maintain financial backing and solvency) in offshore bond sales as to provide a layer of security to foreign investors. However, as Gary Lau, managing director at ratings agency Moody’s, warned, “Keepwell deeds are not guarantees and are subject to much greater legal and regulatory uncertainty than compared to guarantees.” Companies including LDK Solar and property developer Kaisa Group have defaulted in recent years, exposing weaknesses in this structure. Fostering a deep, liquid pool of RMB-denominated assets, either onshore or offshore, is crucial for the internationalization of the currency. Endorsing the development of capital markets can indirectly prop up the currency’s medium of exchange and unit of account function by creating options for recycling. Otherwise, they will have to switch in and out of the currency, which is not cost-efficient. However, given the costs and dubious necessity of capital account opening elaborated above, Chinese authorities should continue to refrain from relying on it to promote financial market development. Instead, they should focus on the basics including strengthening supervision and regulation, just as economist Barry Eichengreen has pointed out. Lu Chen is an international civil servant and a freelance journalist. Her interests include politics, economy and technology. Beijing’s plans to internationalize the RMB haven't come to fruition; the Belt and Road Initiative may help finally make gains.